Do you have a conservatory with an old polycarbonate or glass roof that is looking tired and is too cold in winter and too warm in summer? Then the perfect answer could be a replacement conservatory roof from Ultraframe – the market leader in conservatory roofing systems. These replacement conservatory roofs are solid tiled roofs and are plastered internally, meaning they will make your conservatory feel more like a room or extension – and crucially, meaning that you will be able to use it all year round, whatever the weather. If you have decided to replace the roof on your conservatory for a new solid tiled roof, then one of the first questions you might have is will I need replacement roof planning permission? Read this handy guide to find out more about replacement conservatory roof planning permission. Will I need planning permission for a replacement conservatory roof? If you are familiar with conservatory planning permission, you may know that the regulations used to stipulate that in order for a conservatory to be exempt from planning permission, a certain percentage of the roof had to be glazed – which would have meant that you would always require replacement roof planning permission. However, Building Regulations have changed and you may now not need planning permission for your replacement conservatory roof in England. Even if your replacement conservatory roof doesn’t require planning permission, you may still need to use the neighbour consultation scheme. The scheme applies to single-storey rear extensions, and involves notifying your local planning authority (a department at your local council) of your proposed project – including replacement roofs for conservatories. Your local planning authority will then notify your neighbours about your project so that they have a chance to raise any objections. Neighbouring properties have 21 days to object to plans and if no objections are received within that timeframe, then your project can go ahead. When might I need replacement roof planning permission? If you are planning on replacing a translucent (glass or polycarbonate) conservatory roof for a solid roof you must obtain Building Regulatory Approval. When changing a translucent roof for a solid replacement tiled conservatory roof, this is classed as a change of use, because the structure goes from being classed as temporary, to permanent. This change of use may be the reason you could require replacement roof planning permission. It may be that in swapping your old conservatory roof for a replacement conservatory roof, that your conservatory will no longer fall under the Permitted Development rules, and so may need replacement roof planning permission. How do I obtain replacement conservatory roof planning permission? Firstly you will need to submit a planning application as well as a Building Regulations application. Your planning officer may want you to make adjustments to the conservatory in terms of the ventilation, if it has been classed as a ‘change of use’ due to the replacement conservatory roof. Who can take care of replacement conservatory roof planning permission for me? Dealing with replacement roof planning permission and building regulations can be daunting and while your local planning office will be able to help, why not choose an Ultraframe Ultra Installer to carry out your solid tiled roof conservatory roof replacement and they will take care of all the red tape concerned with replacement roof planning permission. 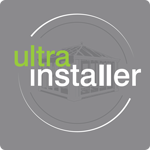 To find your nearest Ultra Installer click here. There have been some changes to the Building Regulations which mean that you may not need replacement roof planning permission – unless certain criteria applies and so long as you notify surrounding properties using the Neighbour Consultation Scheme. These temporary changes apply to all projects completed by 30th May 2019. This guide contains lots of information on replacement solid roof planning permission but it’s always a good idea to contact your local planning office or look at the Planning Portal website for the most up to date information on replacement conservatory roof planning permission, including any information that is specific to your area or even your individual property. The Planning Portal website provides detailed information about replacement conservatory roof planning permission and will advise you of the latest limits and conditions that your conservatory must comply with. There are different regulations for properties in England and Wales, and you may find that if you live on designated land or in a Site of Special Scientist Interest, you have to comply with stricter regulations to achieve your replacement conservatory roof planning permission if you are wanting to add a solid tiled roof to your conservatory. We hope that this handy guide to replacement conservatory roof planning permission has answered some of the many questions you are bound to have about replacement roof planning permission. Replacement conservatory roof planning permission is a tricky subject and the laws change from time to time so it is always a good idea to check the Planning Portal website or speak to a planning officer in the planning department of your local council for the latest up to date information on replacement conservatory roof planning permission.